Bob Preston's Back Cove 37, "Family Ties"
Bob Preston, a two-time Back Cove owner, has been boating for 40 years and has cruised over 11,000 nautical miles in the last three years. Bob retired in 2011 after enjoying a 33-year career in the insurance industry building a large insurance organization. He retired at the young age of 53 because of the effects of Parkinson’s disease. But don’t worry! He hasn’t let that slow him down! “I think the experiences I’ve had — 40 years of boating, a Master’s license and cruising over 11,000 nautical miles these last few years — it still makes me a beginner,” Bob says. What does he mean exactly? Read on! 1. TRAIN — Training, training, training. I believe there is always something more I can learn. In 2004, I got a Master’s license. This is after 30 years of sailing and skippering my own boat! In my opinion, you can’t be well-enough trained. My wife and I practice man overboard drills at least a dozen times a year. 2. NAVIGATION — Know how to navigate on paper; do not rely on instruments. I have a very high-quality navigation station on my Back Cove 37 Family Ties but the system crashed twice during my travels. One time we were in Penobscot Bay and it was “pea soup” fog (very, very foggy!) when the navigation station crashed. I stayed calm and my wife and I looked over our charts and plotted a course. If I didn’t know how to navigate on paper, we would have had a very ugly situation. 3. PLAN — Always have an alternative plan — a “Plan B.” It is important to have an alternative for anything that can happen on a boat. It's important to think on your feet and remain calm. 4. KNOW YOUR BOAT — Know your boat as best as you can. It’s important to know as much about your boat as possible. 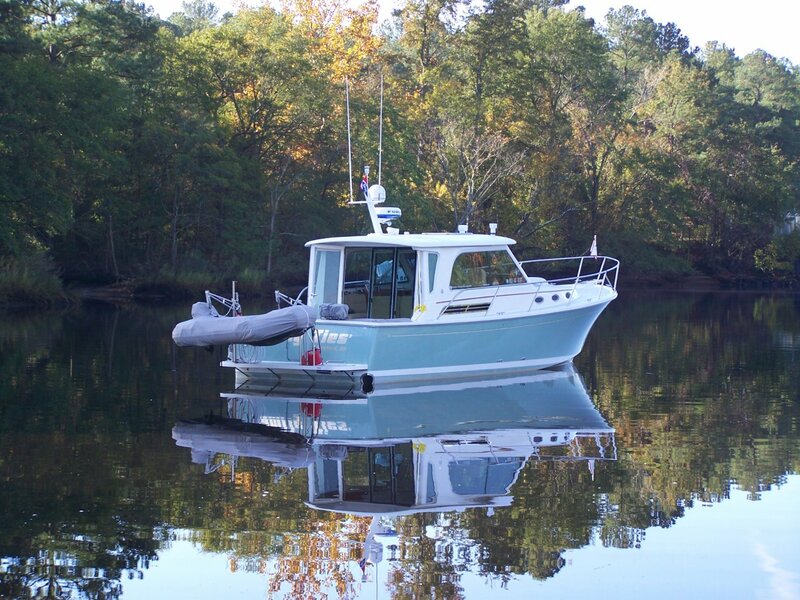 When I bought my Back Cove 37, I really tried to understand the engine room as best as possible. I realized that I didn’t know anything about diesel engines. What did I do? I took a two-day, 16-hour course on marine diesel engines at the Trawlerfest during the Fort Lauderdale Boat Show. After that course, I had a better understanding of my boat and more importantly a better understanding of my engine. 5. KNOWLEDGE REIGNS – Most people cruise with someone, whether it’s their significant other, spouse, long-time friend, etc. Whoever this person might be — teach them how to operate your boat in an emergency. I’ve been boating 40+ years but my wife was never enamored with boating — until recently. She played a big role in the purchase of our last Back Cove and finds it very comfortable. She especially enjoys the travel and sights involved with cruising. But going back to teaching your partner. I worked extensively with my wife on how to drive the boat in various locations, conditions, and speeds. I think most would agree that she is exceptionally good. And she enjoys it! Thanks for listening. For more information about my next cruising adventure or the fundraising I am doing for Parkinson’s disease, click here to visit my blog or visit my Facebook page.